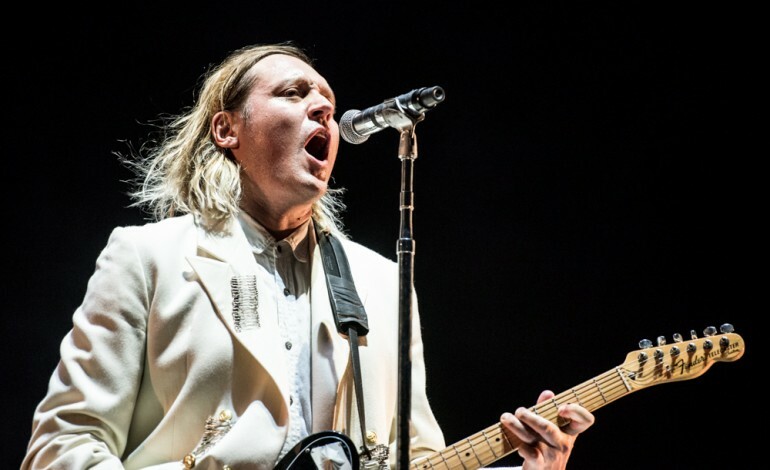 Indie rock band Arcade Fire has recently announced a whole batch of dates for a Summer 2018 tour called Everything Now Continued. The group will kick off the trek in Dublin on April 6th at the 3Arena before starting travelling through Europe and come back to the US during the summer. Among the numerous dates, many festival appearances are scheduled, both in Europe and the US. Among the most renowned there are Summerfest Milwaukee, WI on July 8th, Forecastle Festival in Louisville, KY on July 15th and Way Out West and Oya Festival respectively in Gothenburg, Sweden on August 9-11 and Oslo, Norway on August 7-11. Arcade Fire has also recently announced the release of a new video titled Money + Love. According to Pitchfork, the short film will be the visual accompaniment for We Don’t Deserve Love“ and “Put Your Money on Me, both tracks taken from their latest release Everything Now. The short film, directed by David Wilson, will feature, as well as the band, actor Toni Collette, best known from the Sixth Sense and Little Miss Sunshine. As Rolling Stone reported, Everything Now, Arcade Fire fifth studio LP, sold 100,000 copies on its first week, making it the third time one of their records reach a number one, after 2010’s The Suburbs and 2013’s Reflektor. The band also released a set a t-shirts in which the album’s logo has also appeared on Kendall and Kylie Jenner’s face. Clearly a satirical response the famous sisters’ line of clothing, in which their face is on top of those of famous artists such as The Doors, Ozzy Osbourne and Notorious B.I.G. The short film for Everything Now follows other ones released for other tracks such as “Electric Blue” and “Creature Comfort”. UPDATE (6/18): Arcade Fire have added two new shows to their summer 2018 Everything Now Continued Tour. Highlights include shows at the Greek Theatre in Berkeley and the Greek Theatre in Los Angeles. The LA date will be with The Zombies while Grizzly Bear will perform at the Berkeley, CA date.